However, such software regularly gets updated with the latest functionalities, which makes choosing a database replication solution quite a layered process. Having a list of “must-have” features and functions can go a long way, especially in helping your supplier provide customized solutions based on your needs. Here are some of the things you might want to look into in order to get maximum value out of your investment. Oracle may be top-of-mind when it comes to database management systems, but other platforms are steadily gaining popularity and improving their functionalities in recent years.This means that Oracle-derived data may need to integrate with other databases, highlighting the importance of your data replication tool’s flexibility to support multiple database environments not only for cost effectiveness but also for adaptability to new technologies. Another factor to consider is data access. Make a list of all the data types that you’ll need to support all your business requirements. This makes it easier to choose a product, as not all platforms may be able to support or access all the data types you need. Some functions that you need to look for in a software are compare-and-repair and peer-to-peer monitoring to ensure accurate data replication. These functionalities help to quickly unearth discrepancies between the sources and targets.They are ideally included in the software’s native implementation rather than as an add-on after deployment. This is especially critical for companies that conduct operations 24/7, where it is unacceptable to halt business-critical transactions in order to replicate data. Your chosen data replication solution should be able to continuously copy data from one server to another without interruptions to online transaction processing, including any changes on the source or the target. This is to ensure that the data on all your databases are always aligned, and the latest updates to the data are always available. To understand your bandwidth requirement, you also need to understand your data’s rate of change and your recovery point objective or RPO. If your data is constantly changing – for example, if you’re a bank that handles thousands of daily transactions – and your RPO is one hour, you will probably lose a lot of transactions with that RPO. However, if you have a low rate of change, that one-hour RPO can be sufficient and be more cost-effective. Once you’ve figured out your rate of change and the corresponding RPO in order to not lose any data in the replication process, then you will have a clearer picture of your bandwidth requirement. Trying to send a huge chunk of data across a small bandwidth will result in a poor experience and likely a failed replication. 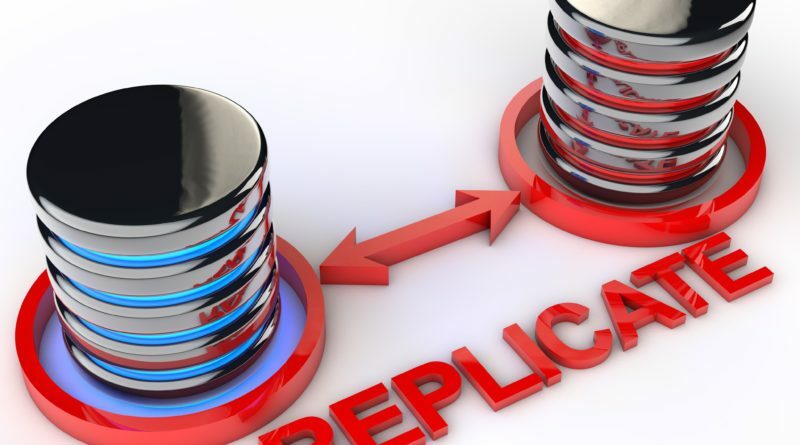 You may want your replication software to have several functionalities like reporting, disaster recovery, data comparison and migration, real-time change data capture, data transformation, and data monitoring to maximize value for money. However, you must bear in mind that the more features and capabilities you want to add, the higher the cost of implementation and maintenance gets. It might also take a bit longer to deploy. You’ll also need to consider the cost of upkeep in terms of personnel. Your in-house IT team may not be able to handle the maintenance requirements or may need additional training from your solutions provider to properly manage the software. Data replication has become an important IT function for several industries in this era of “big data” and analytics, which makes choosing the right data replication software for your business an even more critical business decision. To get started, make a list of things that you have to consider so you can make the best choice for your business. ← What Do Your Employees Really Care About?